Scottish migration and settlement in Ulster. and the Plantation of Ireland. W.E.H.Lecky. Impeachment, Bill of Attainder, execution. May 1689 – Derry Protestants named. good conduct from his forces. 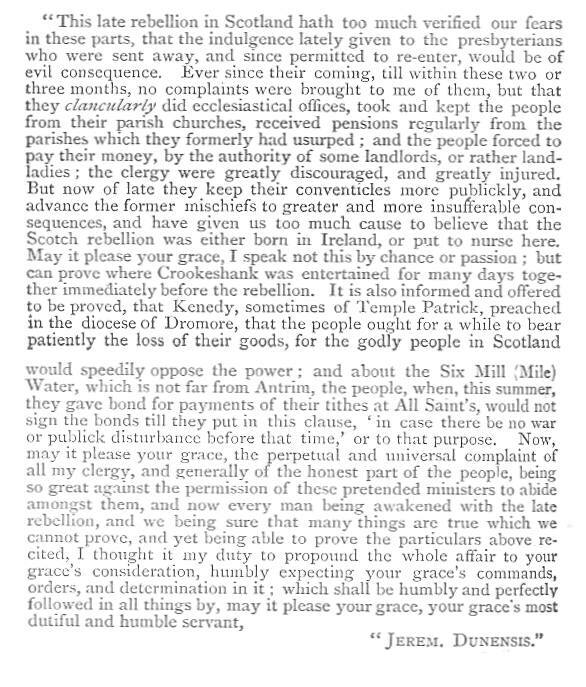 A Petition of the Presbyterian Ministers and People in the North of Ireland, to William and Mary. Account of the Irish Rebellion. “Speeches from the Dock ” by TD,AM and DB Sullivan. Further reading: Ireland and the Presbyterians.